The Hopper Dryer is a replacement product of the standard hot air dryer. It is based on the original function and fully considers the environmental factors and improves it. It can dry materials that are wet due to packaging, shipping or recycling. The China Dehumidifying Dryer Manufacturers tells you that its operation is divided into two parts, Dehumidifying drying and suction. 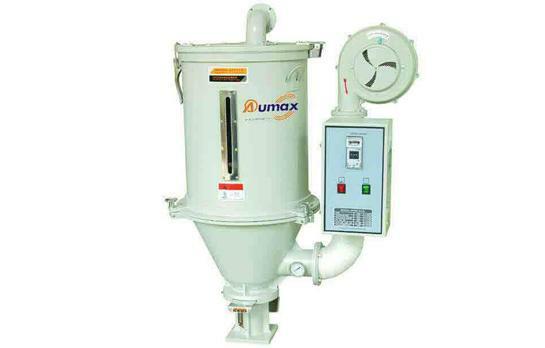 Designed especially for constant high volume retrieval of their hardest substances, Aumax' Heavy Duty Granulator are precision machined with heavy steel plates and pressure alleviated weldments throughout. Do You Know Central Granulator? With a number of different series to pick from, every Central Granulator supplies a huge array of attributes, throughput, knife configurations, room designs, etc.. The 3200 Series, by way of instance, processes around some staggering 12,000 pounds. How Does Air Cooled Water Chiller Work? Air Cooled Water Chiller actively absorb heat from process water; then they move this heat to the air across the chiller unit. This sort of device is typically utilized in places where extra heat release isn't a problem, but rather works as a benefit.